Welcome to Kestrel-Cam – Aerial Drone Photography, Filming and Video Kestrel-Cam: Aerial photography and video from one of the country’s most experienced drone operators. Kestrel-Cam offer a view of the world never before seen without movie style budgets. 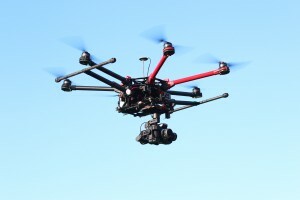 Our multi-rotor drones can operate up to 400ft giving you a unique view of the world below. Nothing else gives you the scale and perspective for your project quite like photography or video footage from above. Here’s just a small selection of the videos we’ve shot for our clients’ corporate video productions. We’ve been busy filming everything from retail parks to farms and tunnelling to engineering projects. Our extensive experience of filming with drones means we can contribute a great deal, creatively, to each shoot; we don’t just turn up and fly. We can also turn our hands to ground based filming too. Here’s a small sample of the different types of drone survey that we carry out. The list of surveys includes: roof and building surveys, chimney surveys, traffic surveys, housing surveys and industrial lighting surveys. We are even contracted by Historic England to survey their ancient, protected monuments and buildings. We supply 4K UHD video of the survey material for you to watch in the comfort of your own office. 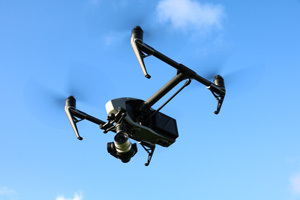 Surveying high or inaccessible roofs and buildings can be dangerous and expensive so it will be far more effective using a drone to carry out the task. We’ve done so much more filming with the drone this year that it’s hard to select just a few clips to whet your appetite. Our experience ranges from work on TV productions to adverts and, of course, films as well. We aren’t just a drone crew though. We bring many years’ knowledge of the industry making sure you get just the right shot for your production. Give us a call if you’d like to discuss your next project. Don’t forget to watch in 4K if you can! A further selection of just some of the drone filming work we’ve done in 2016. We are regularly called on to film for TV production companies. Our experience makes us the logical choice for all types of programmes. All of this drone footage is shot with the Panasonic GH4. Watch in 4K if you can! A small selection of our recent aerial drone videos. We’ve been busy working for many of the country’s major TV channels together with an expanding list of independent production houses. We have built a reputation for professionalism and reliability within the creative industries and we’re often called upon to provide aerial drone footage for TV and film productions. Here are a few more samples of the many roofs and buildings that we have surveyed with our drones over the last few months. We are asked to send our drones up to inspect everything from mill chimneys to suspension bridges. And, as part of our contract with Historic England, we are also lucky enough to film some of the country’s most iconic ancient buildings. Watch the video in 4K resolution if you can to see the sort of detail that’s available in our surveys. So, if you have a structure that is difficult to access or may even be dangerous then a drone survey could be the answer. It’ll cost you a lot less than you might think and certainly less than scaffolding a building so give us a call for a competitive price. In addition to film & TV work we also have many years’ experience surveying buildings and roofs with our drones. We are asked to inspect structures that are either too hard or too expensive to reach by conventional means. There are also those buildings that are just too dangerous to get close to. Over the years we’ve photographed everything from church spires to aircraft hangars and medieval buildings to schools. We usually supply the drone footage in ultra high definition, 4K video format for the client to assess in the comfort of their own office. This video shows a small selection of the types of work that we’ve been commissioned to carry out. The cost savings over conventional access methods are fantastic so contact us today for an extremely competitive quote for the job. For more info click here. Please watch our showreel to see what our multirotor drones can achieve in terms of versatility and quality. Aerial drone photography and video has never been easier to obtain. Here are just a few samples of the sort of aerial drone video we’ve been filming recently. We’ve shot all sorts of HD and 4K, UHD footage with our drone. With many more projects for the BBC, Channels 4 and 5, we’ve been really busy. All of the footage you see here is straight out of the camera with no stabilisation! To see our older showreels please visit this page. Kestrel-Cam is based in Manchester and provides remote aerial drone photography and video using radio-controlled UAVs, piloted by expert staff across the north of the UK. We use the very latest multi-rotor drone aerial platforms from quadcopters up to hexacopters, all equipped with professional stills cameras and video recording equipment. This allows us to offer aerial drone photography, filming and video services to a wide range of clients from private individuals up to large corporates. We are one of the country’s most experienced drone operators with well over 2000 commercial flights having been successfully completed. All of our pilots are CAA approved and RPQ-S certified ensuring the highest standards in safety and operation. Aerial drone photography projects include pre-deployment and on-site surveys to ensure the safe deployment of the camera platforms. We normally operate as a 2 man team to ensure a greater level of quality and safety and we also have £5m public liability insurance. We can put our drones into places that have previously been the domain of full sized helicopters enabling you to get that amazing aerial shot at a fraction of the cost. Kestrel-Cam aerial drone photography and video UK. We have been awarded BBC approved supplier status. In fact any sort of aerial photography that can be achieved by our remotely piloted unmanned aerial vehicles (UAVs) flying at up to 400 feet. Remember, we are one of the country’s most experienced drone operators. Kestrel-Cam aerial drone photography, filming and video UK. We have recently added an Inspire 2 to our fleet of drones. Capable of a maximum speed of 58 mph (94 kph) the craft is also extremely stable and agile. The twin battery system prolongs the flight time to a maximum of 25 minutes, while self-heating technology allows it to fly even in low temperatures. The onboard camera is the X5S which is equipped with an uprated Micro 4/3 sensor with a dynamic range of 12.8 stops. It supports up to eight standard M4/3 lenses (including zoom lenses) with focal lengths ranging from 9mm-45mm (equivalent to 18mm-90mm on a 35mm camera), allowing more creative flexibility. The new CineCore 2.0 image processing system on the Inspire 2 makes the X5S capable of capturing 5.2K 25fps Apple ProRes video as well as 4K 50fps using H.264 and 4K 25fps using H.265 (both at 100Mbps). Continuous DNG burst shooting at 20fps with 20.8MP images is also supported. The drone’s legs retract out of the way enabling us to pan our cameras through 360 degrees to capture that perfect shot. Along with the very best in gimbals and UHD cameras we can obtain unbelievably smooth footage and crisp still shots over the most demanding of terrains. Live video is streamed back to the ground station monitor and pilot’s flight console in real time so that the pilot and client can monitor exactly what the high-level camera is capturing. We have a couple of smaller quadcopter / camera combinations for use in tighter environments or even indoors. The camera we use on the S900 rig shown is the Panasonic Lumix GH4 with a 12mm Olympus Zuiko lens. The image sensor is 17.2 megapixels and we are able to shoot 4K UHD video (3840×2160) at 25fps. We can also capture 1080p, 50 frames per second, at a bit rate of up to 200Mps. We chose this camera/rig combination as it gives us fantastic high resolution still images and broadcast standard video. It is in fact the same combination as used by the BBC for their outside broadcast aerial videography so we are in good company. Kestrel-Cam also has full design & video editing capabilities. Kestrel-Cam aerial drone photography and video UK.